The Critical Care Canada Forum provides a venue for all investigators – undergraduate and graduate students, clinical trainees and academic intensivists – to present scholarly work to their peers. Submitted abstracts are reviewed and scored by a panel of judges and may be chosen for electronic posters or oral presentations at the Forum. Authors will be invited to publish their abstracts online as part of the CCCF Archives. Each year, the top abstracts in the categories of Clinical & Quality Improvement Science, Education, and Basic & Translational Science vie for the following awards. Dr. Garner King was an expert critical care clinician, teacher, scientist and administrator as the Director of Intensive Care and the Chair of Medicine at the University of Alberta. He trained the first, and subsequently many, generations of intensivists from Canada and around the world. He had a legendary passion matched by an industry and ability to lead others. Garner died in 1992 at the age of 52. 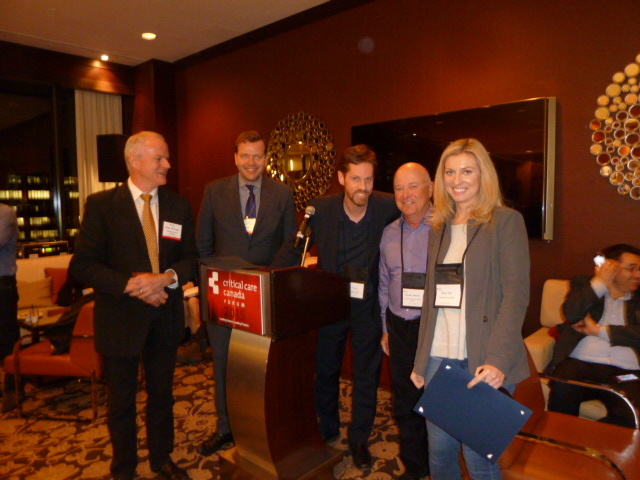 The Garner King Award is is presented annually for the best Clinical & Quality Improvement study presented at the Critical Care Canada Forum. Dr. Allen Spanier was a general surgeon and pioneering Canadian intensivist at McGill with a love and skill for both clinical care and teaching the next generation of critical care clinicians. Former trainees recall “he cared so much about teaching and about trying to help do the right thing for his patients.” He died in 1999 at the age of 52. The Allen Spanier Award is presented annually for the best Education study presented at the Critical Care Canada Forum. Dr. Michael Edward Ward was an intensivist, respirologist and translational scientist at McGill University and the University of Toronto. Michael had the rare combination of knowledge, intellect, passion and imagination to help us bridge the laboratory “bench” to the clinical “bedside”. Michael died in 2009, age 53, at the peak of his academic career. 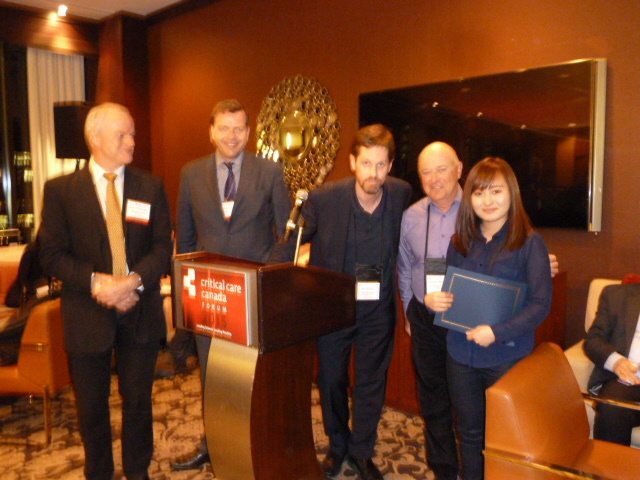 The Michael Ward Award is presented annual for the best basic &Translational Science study presented at the Critical Care Canada Forum. The Garner King Award – Best Clinical or Quality Improvement Study. Abstract Title: Impact of High-Flow Nasal Cannula on Respiratory Distress in Pediatric Intensive Care. Abstract Title: Scholars and Collaborators on the Frontline: Resident-led Research in a Prospective, Observational Study in Critically Ill Patients. 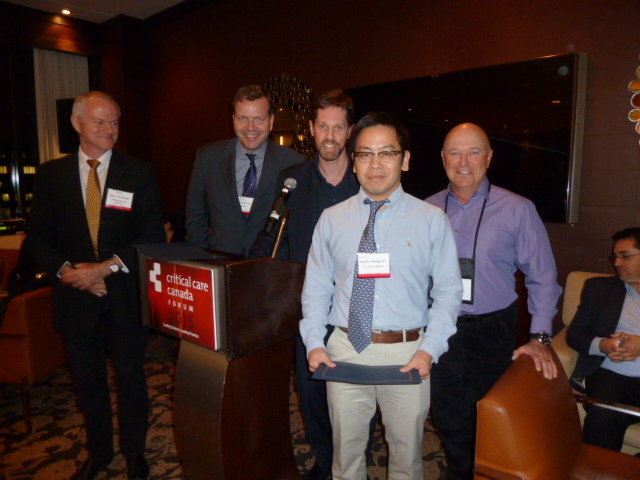 Michael Ward Award – Best Basic or Translational Science Study. Award Recipient: Ustina Jung-Eun Huh, University of Toronto, Toronto, Canada.